Do you remember reading any stories about a Legionnaires’ Disease outbreak in Genesee County during 2014 or 2015, or this year before last Wednesday? I don’t, and neither does Google. Nor do companies which specialize in tracking Legionnaires’ Disease. It was a real shock when Governor Snyder announced Wednesday that Genesee County had recently experienced 87 cases of this disease, 10 of which were fatal. The Michigan Department of Health and Human Services quickly put up a ‘FOR IMMEDIATE RELEASE’ web page describing two sequential Genesee County Legionnaires’ Disease outbreaks. A first outbreak from June 2014 to March 2015, followed by a second from May 2015 to November 2015. This web page provides a dead link to a June 2015 preliminary report and a live link to a May 29, 2015 dated summary of the report created by Susan Bohm of the MDHHS Communicable Disease Division on June 4 2015. The Bohm summary was then modified by someone on Wednesday January 13, 2016 at 3:21:26 PM. The Bohm summary only covers the first, June 2014 to March 2015 outbreak, not the subsequent May 2015 to November 2015 outbreak which was developing as her summary was being written. Governor Snyder said on Wednesday that he had just become aware of this outbreak. You are expected to believe that functionaries deep in the bowels of MDHHS were not communicating with either the Governor or their own superiors, for six months. The Bohm summary specifically and painstakingly categorizes those victims of the first Legionnaires’ Disease outbreak who were exposed to Flint water. Flint water quality was a blazing issue at the beginning of June 2015. This report and the Bohm summary didn’t make it to the Governor’s office at the speed of light? No one in the Michigan government would lie to the public, would they? Professor Edwards agrees with Governor Snyder and MDHHS that, even if the Legionnaires’ Disease outbreak is associated with Flint River water sourcing, the risk is over now that Flint has returned to Detroit water. However Ms. Bohm’s summary declared the first June 2014 to March 2015 outbreak over, just as the subsequent May 2015 to November 2015 outbreak was developing. Are outbreaks of Legionnaires’ Disease in Genesee County now history? Did Flint’s October switch to Detroit water end the possibility of another outbreak? Will corrosion control measures really suppress Legionella pneumophila in Flint water? Legionella pneumophila, the bacteria responsible for the most severe forms of Legionnaires’ Disease, is not a significant river water contaminant in Michigan. Legionella pneumophila normally lives within common soil dwelling protozoa, such as Acanthamoeba, because this bacteria is dormant below 68 F. The Legionella pneumophila bacteria needs the heat of the amoeba cells and the insulation of soil to survive in Michigan’s cold winters. Michigan’s rivers usually exceed 68 F only in the late summer months: July, August, and September. The first Genesee Legionnaires’ Disease outbreak extended from June 2014 to March 2015, over Michigan’s cold winter months, when river waters are just above freezing. The Flint River was not the source of the Legionella pneumophila responsible for the Legionnaires’ Disease outbreak. So how could Legionella pneumophila have gotten in the Flint water system? Water main breaks. Flint’s water system is old and water main breaks have sorely taxed the capacity of the Flint Public Works Department as the city has gone through its financial travails. Water main breaks are most common in the Spring when the ground thaws and the late Fall when the ground freezes. The ground shifts around, beyond the elastic limits of old water pipes. Water main breaks are not unique to Flint, which is why sodium hypochlorate is added as a disinfectant to drinking water at the ppm (parts per million) level. A Wikipedia article indicates that 0.5 ppm level of free chlorine ions is the minimum level required to kill off Legionella pneumophila in a drinking water system, but provides no citation. Typically these minimum levels vary, depending upon water temperatures, flow rates, bacteria concentrations, and even pressure. But there is some minimum level of disinfectant required to kill off intrusive Legionella pneumophila in a drinking water system. Ms. Bohm’s summary also indicates that MDHHS investigators specifically reviewed water main break exposures in their study. Legionella pneumophila begins to seriously multiply in warmish to hot water. It really likes temperatures from 90 F to 108 F. It survives at higher temperatures, up to 122 F, but does not die off until water temperatures exceed 122 F. This is why the original Legionnaires’ Disease outbreaks were associated with warm water returns in commercial HVAC units. 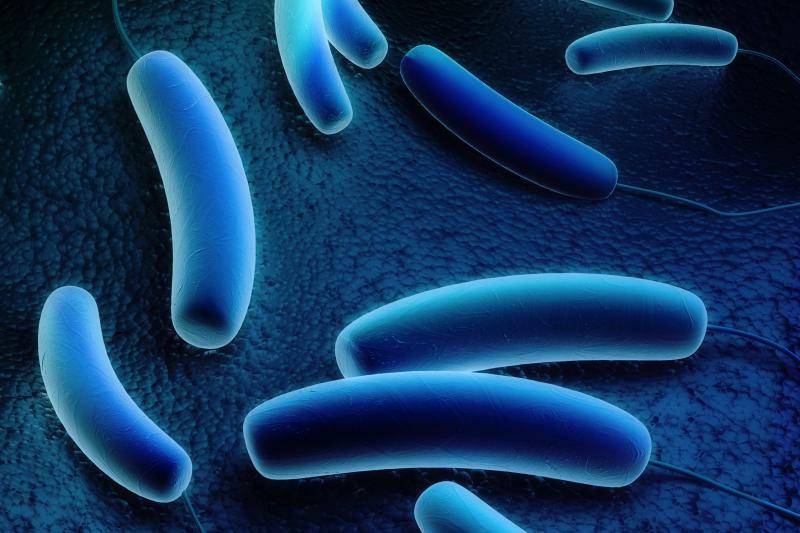 Legionella pneumophila really comes to life in our modern, energy saving, temperature-limited hot water systems – both residential and commercial. Unless Legionella pneumophila is killed off by disinfectants in a drinking water distribution system, water main breaks can lead to Legionnaires’ Disease infections downstream where steamy hot water is used. Ms. Bohm’s summary of the Genesee Legionnaires’ Disease outbreak found that 42% of the infected had been in two different hospitals in the 14 days prior to their diagnosis. 47% of the infected were otherwise exposed to City of Flint water during their incubation period. Only 5 cases, 11%, could not be connected to City of Flint water during their incubation periods. Statistics suggest that Genesee County would have 6 to 13 cases of Legionnaires’ Disease in a normal year, so 5 outliers are not that remarkable. Perhaps MDHHS management felt the association of 42% of Legionnaires’ Disease cases with Flint area hospitals undercut any case that Flint water was implicated. Hospitals have experienced higher rates of Legionnaires’ Disease than other venues, but this is probably due to the medical fragility of their patient population. Research conducted on behalf of hospitals has found that most hospital Legionella pneumophila infections are caused by contaminated drinking water, not HVAC units. The Bohm summary also mentions that ‘hospital A’ “hyperchlorinated their water system on October 4, 2014”. At least ‘hospital A’ was working under the assumption that their Legionella pneumophila infections were coming from the Flint water system. The City of Flint December 2014 water quality report shows chlorine disinfectant residual levels ranged from 0.1 to 3.5 ppm during the year, measured in their distribution system. By comparison, Detroit Water & Sewerage reported that chlorine disinfectant residual levels ranged from 0.52 to 1.01 ppm during the same year in their distribution system. At first glance, this suggests that Detroit water with its seven fold better chlorine disinfectant control should meet the Wikipedia stated 0.5 ppm level of free chlorine ions required to kill off Legionella pneumophila in a drinking water system. Thus you might get the impression that switching to Detroit water would bring an end to Legionnaires’ Disease outbreaks in Flint. Sadly, no. Two reasons: corroded piping which has lost its internal protective scale absorbs free chlorine from transiting water, and varying operating conditions (temperatures/incidences of main breaks, etc.) will all require continuous sodium hypochlorite addition adjustments. The baseline level of free chlorine supplied by Detroit Water & Sewerage in their water will not be correct for Flint. Iron and copper readily combine with free chlorine to form non biocidal chlorides. Given the damage that Flint’s distribution system has suffered, maintaining a stable level of free chlorine in their water is going to require a feedback loop control system. This effect will diminish with time if corrosion control additions can reestablish protective scales in Flint’s distribution piping, but such is not the case now. Remember that adding too much sodium hypochlorite creates carcinogenic trihalomethanes (TTHMs), one of the first Flint water quality problems when Flint resourced their water. Note the far superior control of maximum free chlorine by Detroit Water & Sewerage during 2014. The problem here is that Flint needs to perform adaptive sodium hypochlorite additions in their water plant now that their water piping is damaged. The DW&SD supplied baseline free chlorine level will not suffice for Flint. Higher water temperatures increase the reactivity of free chlorine with piping, and the population of microorganisms that need to be killed off is more numerous. Water main breaks certainly increase the population of microorganisms that need to be killed off. Free chlorine is diminished as it kills off microorganisms, so additions at the Flint Water Treatment Plant have to be adjusted as water temperature fluctuates. Statistical process control fed by field measurements of free chlorine is essential. Restoring Flint water quality depends upon a complete mastery of subtle chemistry. There are no magic bullets; not Detroit water, not blanket chemical additions, not corrosion control. Flint’s water system is like the proverbial super tanker which cannot change direction on a dime. It will be a process of measurement, then adjustment and then remeasurement repeated ad infinitum. I too was shocked to see the subtle release of this outbreak. I'm old enough to remember how this pneumonia got its name and am also aware how pneumonia cause by this bacteria is often covered up. In otherwords, its quite plausible that the number of Legionnaires disease exceeds the number of cases due to going to your private physician, receiving antibiotics and the condition never reported to health officials and would only be reported if hospitalized. In my opinion, it is definitely the water--and definitely involves cover-ups from everywhichway but up. Nicely researched and well well thought out opinion, 10X25MM. "..This effect will diminish with time if corrosion control additions can reestablish protective scales in Flint’s distribution piping, but such is not the case now.."
Are there past similar system scenario (relatively cheap) 'fixes' out there documented over long periods of time which we can actually TRUST to make billion dollar decisions by? We all know that we don't even have the money to tackle such a project to begin with...don't we? We're faced with digging up an entire town and literally replacing everything else (necessarily) when we do it vs trusting a $300 chemical injector pump and past opinions from possible 'experts' who never even considered the former (or any other solution besides the obvious out of career preservation) at the risk of being run out of town on a rail. We're not (presently) able to think/chew gum at the same time through this crisis and that is exactly when "don't ever let a good crisis go to waste" attitudes throttle up to full speed/damn the torpedoes warp drive (especially 3 months in to an election year).